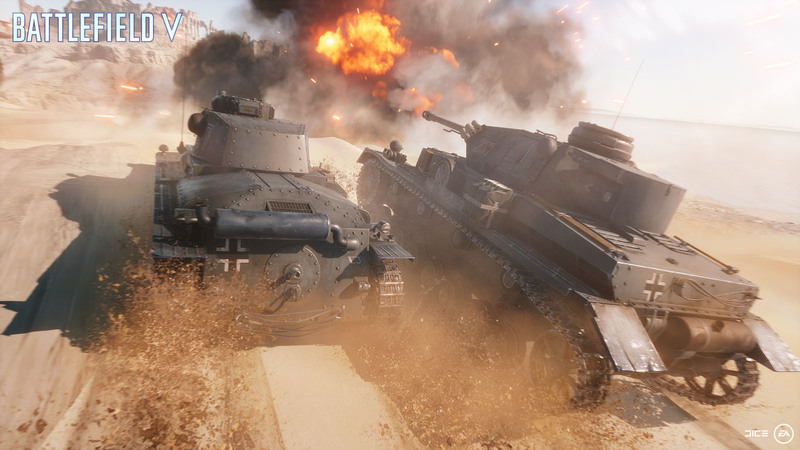 Battlefield V enters the arena as the 15th iteration of the Battlefield series, and overall marks the franchise’s first return to the World War II era in a long time. Despite prior success in Battlefield 1, EA and DICE are fighting the odds due to a lot of blowback from fans on Star Wars Battlefront 2 and its microtransaction debacle, as well as the inclusion of women in Battlefield V. (Women did fight during WWII.) So the real question is, does Battlefield V overcome those obstacles and deliver a top-tier experience? The short answer to that is yes, they certainly have. For starters, the removal of the Premium Pass was a huge step in the right direction. For quite some time, it has been difficult to play with friends on Battlefield games when some would have the pass and some didn’t. It really creates a division with whom you play with on a regular basis. Another big plus was that there would be no microtransactions that could result in gaining an edge in multiplayer. This was something that plagued Star Wars Battlefront 2 initially. Now it’s time to see if this, combined with other changes, have helped make Battlefield V the best. Like its predecessor Battlefield 1, War Stories is making its return. This is one feature I was eagerly awaiting, as I felt like they were one of the best aspects of Battlefield 1. In Battlefield V the stories feel meatier like there’s a deeper substance to them than before. There’s 3 War Stories initially, with the 4th (The Last Tiger) having just been released alongside the Tides of War updated. Even though the missions are works of fiction (loosely based on real events), they immerse and encapsulate you to want to see it through to the end. The biggest draw (and probably only draw) to a Battlefield title is the beauty of large-scale warfare it can convey. Aside from the normal modes like Conquest, Rush, and Team Deathmatch, Battlefield V does try to alter the formula a little bit. Operations is back in the form of Grand Operations, which is essentially the same as before albeit a few changes. This is about an hour-long battle sprawling multiple maps and a four-day period inspired by actual events. Each day brings a different map and mode, which is new. As well, the team that won the previous round will find themselves with a bit more supplies (ammo, meds, fortifications, etc.) than their opponent. 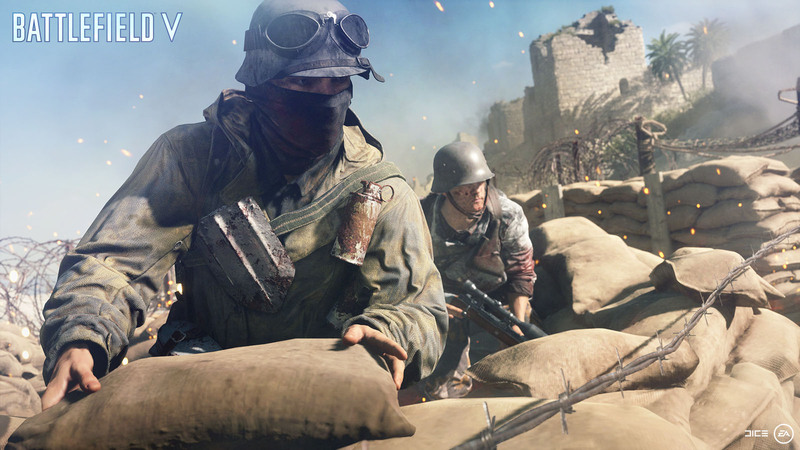 Within the Grand Operations mode is 2 new modes, Airborne and Final Stand. In Airborne, one team parachutes in to destroy a few objectives in hopes of gaining a foothold and pushing forward on the map. Final Stand is a mode that only occurs under certain circumstances, which is when there isn’t a clear winner between the 2 teams. Here is where things get crazy. Both teams spawn in their areas with no tickets or respawn available, although medics can revive downed allies. It’s literally a fight to the last man standing to determine the winner. One of the newest systems that DICE has implemented in Battlefield V is the Attrition system. It adds a new dynamic as players will not spawn with as much ammo and health as before. You’ll have to rely on your squad and team working collectively to ensure that everyone stays alive and well-armed. In that same note, Fortifications have now been introduced as well. Not only can you fortify areas with sandbag barriers, barbed wire, and other obstacles, but you can also build health and ammo stations for your team to utilize. To continue with having an emphasis on squad mechanics and synergy, DICE has created the ability for you to pick up any of your squadmates that is downed no matter what class you are. Medics can still revive players, but they’re not restricted to just their squad. Squad leaders now have strategic capabilities within their squad based on requisition points that the squad generates, which will allow them to call in a supply drop, artillery, or even heavy reinforcements in the form of heavy tanks. I believe all of these new inclusions really do offer a deeper player experience than before. The biggest new customization to Battlefield is the choice of gender for your character. For each of your 4 classes on either faction (Allies or Axis), there are multiple visual aesthetics available including gender, clothing, and camo. Also within that is the class customization for weapons, loadouts, as well as vehicle customization and loadouts. And of course the more you play a particular class or use certain weapons, the more becomes unlocked under those (new weapons and attachments). Within each class are also Combat Role sub-classes that utilize specific traits (almost like Perks in Call of Duty). Take the Recon class, for instance. You can have a Combat Role of either Pathfinder or Sniper. Pathfinder will grant a spawn beacon as well as the Advance Scouting (allows you to spawn on any Squad Leader on your team) and Vanguard traits (grants extra requisition points whenever a squad member spawns on their beacon). Sniper is a bit more straightforward and grants the Eagle Eyed (automatically spots enemies you shoot at) and Expert Marksman traits (allows you to hold your breath longer while aiming down sights, as well replenishes the duration of hold breath with every headshot kill). It seems that DICE has been able to put together another solid performance in the Battlefield franchise. That’s not to say that the game is perfect; it’s far from it. There are graphical glitches that occur on dead bodies, balancing issues on dying too quickly, and the Medic class feels vastly under-powered with just SMGs just to name a few. The other big problems we had was that there’s no timetable for the 4-player co-op Combined Arms mode, as well as the Battle Royale mode Firestorm not releasing until next year. Other than those qualms, the game does exactly as what it’s supposed to, and that’s delivering one of the best FPS experiences available. It’s just a plus that it’s set in the WWII era. Even if you’re not a Battlefield fan in general, this game is worth getting because of the fun factor. I mean, where else can you say that you shot a plane down, causing it to crash into an enemy tank that just demolished the house you were standing in? Battlefield V is currently available on Xbox One, Playstation 4 and PC. 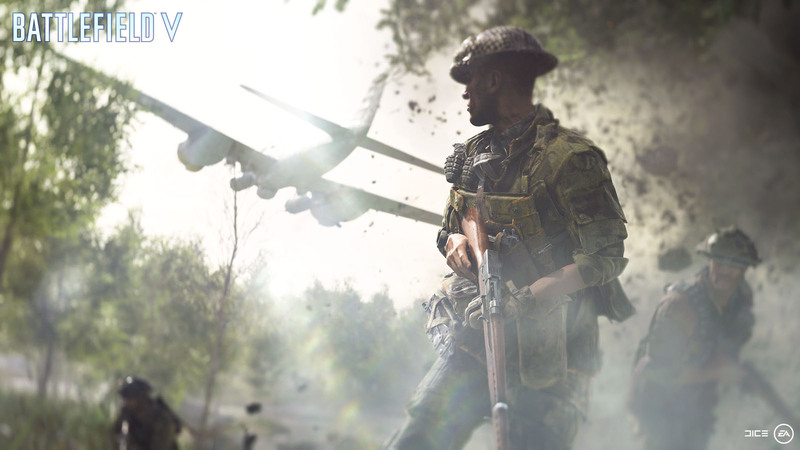 The post Battlefield V Review: Our finest moments and darkest hours appeared first on Nerd Reactor.